Kenneth L. Cannon II has practiced bankruptcy and insolvency law for more than 30 years. He has effectively represented debtors, creditors, trustees, receivers and committees in business reorganization cases and in out-of-court workouts. He is a Fellow of the American College of Bankruptcy. 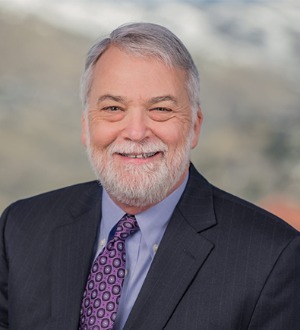 In 2010, he was honored as Best Lawyers® Lawyer of the Year in the area of Bankruptcy and Creditor Debtor Rights/Insolvency and Reorganization Lawyer, Salt Lake City. Mr. Cannon maintains an "AV" Preeminent rating with Martindale-Hubbell®, which is the highest rating awarded to attorneys for professional competence and ethics. Mr. Cannon teaches commercial law as an adjunct Professor of Law at the S. J. Quinney College of Law at the University of Utah. He is the former chair of the firm’s Bankruptcy & Creditors’ Rights Section.